A-Credit: A consumer with the best credit rating, deserving of the lowest prices that lenders offer. Most lenders require a FICO score above 720. There is seldom any payoff for being above the A-credit threshold, but you pay a penalty for being below it. Abandonment: The voluntary surrender of property, owned or lease. Abandonment does not relieve obligations associated with ownership or lease. Abatement: A reduction in amount or intensity. Usually relates to a decrease in taxes or to a decrease in continuing payments such as rent. Absolute Title: A title that is clear of any liens, judgements, or other encumbrances. Abstract Update: Making current an existing Title Abstract. Abstractor: A professional in the title industry who conducts a title search and produces an abstract. Acceleration Clause: A contractual provision that gives the lender the right to demand repayment of the entire loan balance in the event that the borrower violates one or more clauses in the note. Accrued Interest: Interest that is earned but not paid, adding to the amount owed. Same as negative amortization. Acknowledgement: A declaration by a person who has signed a document that such signature is voluntary act, made before a duly authorized person. Acquisition Cost: A term used in FHA loans meaning the total cost to close a loan. Addendum: An addition or supplement to a contract. Adjustable Rate Mortgage / ARM: A mortgage on which the interest rate, after an initial period, can be changed by the lender. While ARMs in many countries abroad allow rate changes at the lender's discretion ("discretionary ARMs"), in the US most ARMs base rate changes on a pre-selected interest rate index over which the lender has no control. These are "indexed ARMs". There is no discretion associated with rate changes on indexed ARMs. Adjusted Basis: The cost of a property plus the value of any capital expenditures for improvements to the property, minus any depreciation taken. Adjustment Date: The date that the interest rate may change on an ARM. Adjustment Interval: On an ARM, the time between changes in the interest rate or monthly payment. The rate adjustment interval is often displayed in x/y format, where "x" is the period until the first adjustment, and "y" is the adjustment period thereafter. For example, a 5/1 ARM is one on which the initial rate holds for 5 years, after which it is adjusted every year. The rate adjustment interval and the payment adjustment interval are the same on a fully amortizing ARM, but may not be on a negative amortization ARM. Adjustments (in Appraisal): The dollar value added or subtracted from the sale price of a comparable property used to provide an indication of value of the subject property. Advance: A partial disbursement of funds under a note, usually made as part of a construction loan or reverse mortgage. Affordability: A consumer's capacity to afford a house. Affordability is usually expressed in terms of the maximum price the consumer could pay for a house, and be approved for the mortgage required to pay that amount. Affordability Analysis: An analysis of a buyer’s ability to afford the purchase of a home. Reviews income, liabilities, and available funds, and considers type of mortgage planned, the area where a home is located, and the closing costs that are likely to be incurred. Agency: The legal requirement that one party in a relationship has a fiduciary obligation to the other. Agreement of Sale: A contract signed by buyer and seller stating the terms and conditions under which a property will be sold. Alt-A: A mortgage risk categorization that falls between prime and sub-prime, but is closer to prime. Also referred to as "A minus". Alternative Documentation: Expedited and simpler documentation requirements designed to speed up the loan approval process. Instead of verifying employment with the applicant's employer and bank deposits with the applicant's bank, the lender will accept paycheck stubs, W-2s, and the borrower's original bank statements. Alternative documentation remains “full documentation”, as opposed to the other documentation options. Amortization: The repayment of principal from scheduled mortgage payments that exceed the interest due. The scheduled payment less the interest equals amortization. The loan balance declines by the amount of the scheduled payment, plus the amount of any extra payment. Amortization Schedule: A table showing the mortgage payment, broken down by interest and amortization, the loan balance, tax and insurance payments if made by the lender, and the balance of the tax/insurance escrow account. Amortization Term: The length of time required to amortize the mortgage loan, expressed as a number of months. Amount financed: On the Truth in Lending form, the loan amount less "prepaid finance charges", which are lender fees paid at closing. For example, if the loan is for $100,000 and the borrower pays the lender $4,000 in fees, the amount financed is $96,000. A useless number. Annual Percentage Rate / APR: The Annual Percentage Rate, which must be reported by lenders under Truth in Lending regulations. It is a measure of credit cost to the borrower that takes account of the interest rate, points, and flat dollar charges by the lender. The charges covered by the APR also include mortgage insurance premiums, but not other payments to third parties, such as payments to title insurers or appraisers. The APR is adjusted for the time value of money, so that dollars paid by the borrower up-front carry a heavier weight than dollars paid in the future. However, the APR is calculated on the assumption that the loan runs to term, and is therefore potentially deceptive for borrowers with short time horizons. Annuity: Payments made at specified intervals, such as with insurance contracts or certain types of investments. Application: A request for a loan that includes the information about the potential borrower, the property and the requested loan that the solicited lender needs to make a decision. In a narrower sense, the application refers to a standardized application form called the "1003" which the borrower is obliged to fill out. Application fee: A fee that some lenders charge to accept an application. It may or may not cover other costs such as a property appraisal or credit report, and it may or may not be refundable if the lender declines the loan. Appraiser: A professional with knowledge of real estate markets and skilled in the practice of appraisal. When a property is appraised in connection with a loan, the appraiser is selected by the lender, but the appraisal fee is usually paid by the borrower. Appraisal fee: A fee charged by an appraiser for the appraisal of a particular property. Appraised Value: An opinion of a property’s fair market value based on an appraiser’s knowledge, experience, and an analysis of the property utilizing recent comparable sales and market conditions. Appreciation: The increase in the value of a property that has occurred over time. Approval: Acceptance of the borrower's loan application. Approval means that the borrower meets the lender's qualification requirements and also its underwriting requirements. In some cases, especially where approval is provided quickly as with automated underwriting systems, the approval may be conditional on further verification of information provided by the borrower. Asset: Things that a person owns, that can be converted to cash such as property, investments, savings, etc. Assignment: The transfer of the rights and obligations under a mortgage from one person to another. Assumability Clause: A provision in mortgage that allows transfer of the mortgage from one party to another. Assumable Mortgage: A mortgage that a seller can transfer to a new buyer, with the buyer taking over the payments on the seller’s existing mortgage. Lenders may require a credit review of the new borrower and payment of a fee for the assumption. Assumption: A method of selling real estate where the buyer of the property agrees to become responsible for the repayment of an existing loan on the property. Unless the lender also agrees, however, the seller remains liable for the mortgage. Assumable Mortgage: A mortgage contract that allows, or does not prohibit, a creditworthy buyer from assuming the mortgage contract of the seller. Assuming a loan will save the buyer money if the rate on the existing loan is below the current market rate, and closing costs are avoided as well. A loan with a "due-on-sale" clause stipulating that the mortgage must be repaid upon sale of the property, is not assumable. Authorized user: Someone authorized by the original credit card holder to use the holder’s card. The card-holder is responsible for the charges of the authorized user, but the authorized user is not responsible for paying any charges, including his own. But sometimes authorized users are dunned for the unpaid bills of the card holder. Automated underwriting: A computer-driven process for informing the loan applicant very quickly, sometimes within a few minutes, whether the applicant will be approved, or whether the application will be forwarded to an underwriter. The quick decision is based on information provided by the applicant, which is subject to later verification, and other information retrieved electronically including information about the borrower's credit history and the subject property. Automated underwriting system: A particular computerized system for doing automated underwriting. Mortgage insurers and some large lenders have developed such systems, but the most widely used are Fannie Mae’s “Desktop Underwriter” and Freddie Mac’s “Loan Prospector”. Back-End Fee or Commission: Mortgage broker’s income paid by the lender, same as yield-spread premium and negative points. "Bad-faith estimate": The practice of low-balling figures for settlement costs on the Good Faith Estimate to make them appear more attractive to mortgage shoppers. Bail-Out: Government support to a firm in trouble, which is usually limited to protecting creditors and employees. Balance: The amount of the original loan remaining to be paid. It is equal to the loan amount less the sum of all prior payments of principal. Balloon Mortgage: A mortgage which is payable in full after a period that is shorter than the term. In most cases, the balance is refinanced with the current or another lender. On a 7-year balloon loan, for example, the payment is usually calculated over a 30-year period, and the balance at the end of the 7th year must be repaid or refinanced at that time. Balloon mortgages are similar to ARMs in that the borrower trades off a lower rate in the early years against the risk of a higher rate later. They are riskier than ARMs because there is no limit on the extent of a rate increase at the end of the balloon period. Bimonthly mortgage: A mortgage on which the borrower pays half the monthly payment on the first day of the month, and the other half on the 15th. Biweekly mortgage: A mortgage on which the borrower pays half the monthly payment every two weeks. Because this results in 26 (rather than 24) payments per year, the biweekly mortgage amortizes before term. Blanket loan: A single mortgage covering several structures on one parcel of land. Usually the structures are occupied by different family members. In a market with very stringent appraisal rules, blanket mortgages are difficult to obtain because comparable properties to support an appraisal are not likely to be available. Blemished borrowers: Borrowers with one or more of the following risk factors: they can only make a very small or no down payment; they cannot fully document their income and assets; their property is something other than a single-family home; their loan is intended to raise cash or to purchase an investment property; they have low credit scores; their income is low relative to their expected total obligations; and their mortgage carries an adjustable rate that will result in substantially higher payments in a few years. Bridge loan: A short-term loan, usually from a bank, that "bridges" the period between the closing date of a home purchase and the closing date of a home sale. Unsecured bridge loans are available if the borrower has a firm contract to sell the existing house. Secured bridge loans are available without such a contract. Builder-financed construction: Having the builder finance the construction. Buy-down: A permanent buy-down is the payment of points in exchange for a lower interest rate. Buy-up: Paying a higher interest rate in exchange for a rebate by the lender which reduces upfront costs. Cash Flow Option Loan: Same as Flexible Payment ARM. Cash-Out refi: Refinancing for an amount in excess of the balance on the old loan plus settlement costs. The borrower takes "cash-out" of the transaction. This way of raising cash is usually an alternative to taking out a home equity loan. Cash-in refi: As part of a refinance transaction, paying down the loan balance in order to reduce the loan-to-value ratio and qualify for a lower interest rate and/or reduced mortgage insurance premium. Closing costs: Same as settlement costs. Closing date: The date on which the closing occurs. CMG plan: A technique for repaying a loan early that involves using the mortgage as a substitute for a checking account. Co-Borrowers: One or more persons who have signed the note, and are equally responsible for repaying the loan. Unmarried co-borrowers who live together are advised to agree beforehand on what happens if they split. COFI: Cost of funds index. One of many interest rate indexes used to determine interest rate adjustments on an adjustable rate mortgage. Collateral: Assets pledged as security for the repayment of a loan. Conservatorship: A legal status where a conservator is appointed to oversee a firm in trouble in order to protect and conserve the firm's assets. Fannie Mae and Freddie Mac were placed in conservatorships in September, 2008. Contagion: Positive contagion is the tendency during a bubble period for new players to be attracted by the profits being earned by existing players. Negative contagion is the tendency during a financial crisis for the loss of confidence in the ability of major players to meet their obligations to spread rapidly among all their actual and potential creditors. Contract knavery: Inserting provisions into a loan contract that severely disadvantage the borrower, without the borrower’s knowledge, and sometimes despite oral assurances to the contrary. Prepayment penalties are perhaps the most frequently cited subject of such abuse. Conventional mortgage: A home mortgage that is neither FHA-insured nor VA-guaranteed. Conversion option: The option to convert an ARM to an FRM at some point during its life. These loans are likely to carry a higher rate or points than ARMs that do not have the option. Correspondent: A lender who delivers loans to a (usually larger) wholesale lender against prior price commitments the wholesaler has made to the correspondent. The commitment protects the correspondent against pipeline risk. COSI: Cost of savings index. One of many interest rate indexes used to determine interest rate adjustments on an adjustable rate mortgage. Co-signing a note: Assuming responsibility for someone else's loan in the event that that party defaults. A risk not to be taken lightly. Credit report: A report from a credit bureau containing detailed information bearing on credit-worthiness, including the individual's credit history. Credit score: A single numerical score, based on an individual's credit history, that measures that individual's credit worthiness. Credit scores are as good as the algorithm used to derive them. The most widely used credit score is called FICO for Fair Issac Co. which developed it. Cumulative interest: The sum of all interest payments to date or over the life of the loan. This is an incomplete measure of the cost of credit to the borrower because it does not include up-front cash payments, and it is not adjusted for the time value of money. Current index value: The most recently published value of the index used to adjust the interest rate on an indexed ARM. Current projected rate: The expected interest rate on an ARM at the next rate adjustment. Debt consolidation: Rolling short-term debt into a home mortgage loan, either at the time of home purchase or later. Debt elimination: Scams designed to relieve you of your money by promising to eliminate your mortgage debt. Deed in lieu of foreclosure: Deeding the property over to the lender as an alternative to having the lender foreclose on the property. Deferred interest: Same as negative amortization. Demand clause: A clause in the note that allows the lender to demand repayment at any time for any reason. Desecuritization: Reversing the securitization process by converting a security back into individual loans. Direct lender: Same as lender. Discount mortgage broker: A mortgage broker who claims to be compensated entirely by the lender rather than by the borrower. Discount points: Same as points. Discretionary ARM: An adjustable rate mortgage on which the lender has the right to change the interest rate at any time subject only to advance notice. Discretionary ARMs are found abroad, not in the US. Documentation requirements: The set of lender requirements that specify how information about a loan applicant's income and assets must be provided, and how it will be used by the lender. Dual apper: A borrower who submits applications through two loan providers, usually mortgage brokers. Dual index mortgage: A mortgage on which the interest rate is adjustable based on an interest rate index, and the monthly payment adjusts based on a wage and salary index. Due-on-sale clause: A provision of a loan contract that stipulates that if the property is sold the loan balance must be repaid. This bars the seller from transferring responsibility for an existing loan to the buyer when the interest rate on the old loan is below the current market. Effective rate: A term used in two ways. In one context it refers to a measure of interest cost to the borrower that is identical to the APR except that it is calculated over the time horizon specified by the borrower. The APR is calculated on the assumption that the loan runs to term, which most loans do not. (See Does the Annual Percentage Rate (APR) Help?). In most texts on the mathematics of finance, however, the "effective rate" is the quoted rate adjusted for intra-year compounding. For example, a quoted 6% mortgage rate is actually a rate of .5% per month, and if interest received in the early months is invested for the balance of the year at .5%, it results in a return of 6.17% over the year. The 6.17% is called the "effective rate" and 6% is the "nominal" rate. 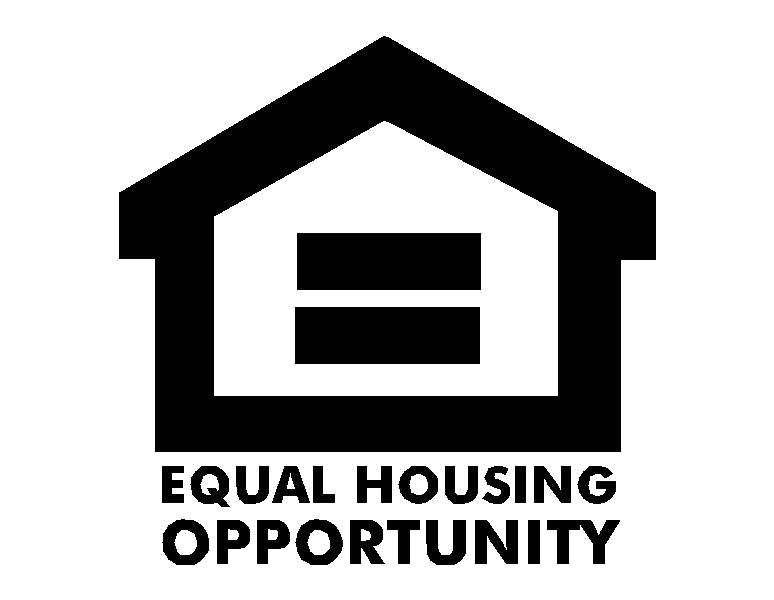 Equity: In connection with a home, the difference between the value of the home and the balance of outstanding mortgage loans on the home. Equity grabbing: A type of predatory lending where the lender intends for the borrower to default so the lender can grab the borrower's equity. Escrow: An agreement that money or other objects of value be placed with a third party for safe keeping, pending the performance of some promised act by one of the parties to the agreement. It is common for home mortgage transactions to include an escrow agreement where the borrower adds a specified amount for taxes and hazard insurance to the regular monthly mortgage payment. The money goes into an escrow account out of which the lender pays the taxes and insurance when they come due. Escrow abuse: The practice of using escrow accounts inappropriately to generate more income from hapless borrowers. Fallout: Loan applications that are withdrawn by borrowers, sometimes because they have found a better deal. FAMEMP: A fully-amortizing mortgage with equal monthly payments. Fannie Mae: One of two Federal agencies that purchase home loans from lenders. (The other is Freddie Mac). Both agencies finance their purchases primarily by packaging mortgages into pools, then issuing securities against the pools. The securities are guaranteed by the agencies. They also raise funds by selling notes and other liabilities. Fees: The sum of all upfront cash payments required by the lender as part of the charge for the loan. Origination fees and points are expressed as a percent of the loan. Junk fees are expressed in dollars. FHA mortgage: A mortgage on which the lender is insured against loss by the Federal Housing Administration, with the borrower paying the mortgage insurance premium. The major advantage of an FHA mortgage is that the required down payment is very low, but the maximum loan amount is also low. For articles on FHA, see FHA Mortgages. FICO Score: See Credit Score. Final prices: The prices paid by the borrower, as opposed to posted prices. Financial Services Authority (FSA): In the UK, a series of sweeping changes beginning in 1997 placed most financial regulation under a new Financial Services Authority (FSA). FSA is an independent non-governmental body but it is answerable to the Treasury and ultimately to the Parliament. In 2004, the FSA took over regulation of the mortgage sector, including mortgage brokers. Financing points: Including points in the loan amount. First mortgage: A mortgage that has a first-priority claim against the property in the event the borrower defaults on the loan. For example, a borrower defaults on a loan secured by a property worth $100,000 net of sale costs. The property has a first mortgage with a balance of $90,000 and a second mortgage with a balance of $15,000. The first mortgage lender can collect $90,000 plus any unpaid interest and foreclosure costs. The second mortgage lender can collect only what is left of the $100,000. Fixed rate mortgage (FRM): A mortgage on which the interest rate and monthly mortgage payment remain unchanged throughout the term of the mortgage. Fixed-Markup UML: An Upfront Mortgage Lender who discloses his wholesale price and markup. Flexible payment ARM: Same as Option ARM. Float: Allowing the rate and points to vary with changes in market conditions. The borrower may elect to lock the rate and points at any time but must do so a few days before the closing. Allowing the rate to float exposes the borrower to market risk, and also to the risk of being taken advantage of by the loan provider. Float-down: A rate lock, plus an option to reduce the rate if market interest rates decline during the lock period. Also called a cap. A float-down costs the borrower more than a lock because it is more costly to the lender. Float-downs vary widely in terms of how often the borrower can exercise (usually only once), and exactly when the borrower can exercise. Foreclosure: The legal process by which a lender acquires possession of the property securing a mortgage loan when the borrower defaults. Forbearance agreement: An agreement by the lender not to exercise the legal right to foreclose in exchange for an agreement by the borrower to a payment plan that will cure the borrower’s delinquency. Freddie Mac: One of two Federal agencies that purchase home loans from lenders. The other is Fannie Mae. Front-end fee: Mortgage broker income paid by the borrower, as distinguished from the fee paid by the lender, which is "back-end". Fully amortizing payment: The monthly mortgage payment which, if maintained unchanged through the remaining life of the loan at the then-existing interest rate, will pay off the loan over the remaining life. On FRMs the payment is always fully amortizing, provided the borrower has made no prepayments. (If the borrower makes prepayments, the monthly payment is more than fully amortizing). On GPMs, the payment in the early years is always less than fully amortizing. On ARMs, the payment may or may not be fully amortizing, depending on the type of ARM. Fully indexed interest rate: The current index value plus the margin on an ARM. Usually, initial interest rates on ARMs are below the fully indexed rate. If the index does not change from its initial level, after the initial rate period ends the interest rate will rise to the fully indexed rate after a period determined by the interest rate increase cap. For example, if the initial rate is 4% for 1 year, the fully indexed rate 7%, and the rate adjusts every year subject to a 1% rate increase cap, the 7% rate will be reached at the end of the third year. Generic prices: Prices that assume a more or less standardized set of transaction characteristics that generally command the lowest prices. Generic prices are distinguished from transaction specific prices, which pertain to the characteristics of a specific transaction. Gift of equity: A sale price below market value, where the difference is a gift from the sellers to the buyers. Such gifts are usually between family members. Lenders will usually allow the gift to count as down payment. Good faith estimate: The form that lists the settlement charges the borrower must pay at closing, which the lender is obliged to provide the borrower within three business days of receiving the loan application. Government National Mortgage Association (GNMA): A Federal agency that guarantees mortgage securities that are issued against pools of FHA and VA mortgages. Grace period: The period after the payment due date during which the borrower can pay without being hit for late fees. Grace periods apply only to mortgages on which interest is calculated monthly. Simple interest mortgages do not have a grace period because interest accrues daily. Graduated payment mortgage (GPM): A mortgage on which the payment rises by a constant percent for a specified number of periods, after which it levels out over the remaining term and amortizes fully. For example, the payment might increase by 7.5% every 12 months for 60 months, after which it is constant for the remaining term at a fully amortizing level. Graduation period: The interval at which the payment rises on a GPM. Graduation rate: The percentage increase in the payment on a GPM. Guaranteed Mortgage Price Agreement: A proposal by HUD in 2002 to allow lenders and others to offer packages of loans and settlement services at a single price. HARP Program : The Home Affordability Refinance Program (HARP) was started by Fannie Mae and Freddie Mac in 2010 to provide refinancing to borrowers with loan-to-value ratios too high to be eligible for their standard programs. Hazard insurance: Insurance purchased by the borrower, and required by the lender, to protect the property against loss from fire and other hazards. HECM: Stands for Home Equity Conversion Mortgage, a reverse mortgage program authorized by Congress in 1988. On a HECM, FHA insures the lender against loss in the event the loan balance at termination exceeds the value of the property, and insures the borrower that any payments due from the lender will be made, even if the lender fails. Historical scenario: The assumption that the index value to which the rate on an ARM is tied follows the same pattern as in some prior historical period. In meeting their disclosure obligations in connection with ARMs, some lenders show how the mortgage payment would have changed on a mortgage originated some time in the past. That is not very useful. Showing how a mortgage originated now would change if the index followed a historical pattern would be useful, but nobody does it. Homebuyer protection plan: A plan purporting to protect FHA homebuyers against property defects. Homeowners insurance: Insurance purchased by the borrower, and required by the lender, to protect the property against loss from fire and other hazards. Home equity line of credit (HELOC): A mortgage set up as a line of credit against which a borrower can draw up to a maximum amount, as opposed to a loan for a fixed dollar amount. For example, using a standard mortgage you might borrow $150,000, which would be paid out in its entirety at closing. Using a HELOC instead, you receive the lender’s promise to advance you up to $150,000, in an amount and at a time of your choosing. You can draw on the line by writing a check, using a special credit card, or in other ways. Home Equity Conversion Mortgage (HECM): A reverse mortgage program administered by FHA. Home equity line: Same as HELOC. Home equity loan: Same as second mortgage. Home Keeper: A reverse mortgage program administered by Fannie Mae. 1933 to help families avoid having their homes foreclosed. Home Valuation Code of Conduct (HVCC): A rule issued by Fannie Mae and Freddie Mac, effective May 1, 2009, that the agencies thenceforth would only purchase mortgages that were supported by an “independent” appraisal. The rule had some very bad though unintended side effects. Housing bank: A government-owned or affiliated housing lender. With minor exceptions, government in the US has never loaned directly to consumers, but housing banks are widespread in many developing countries. Housing bubble: A marked increase in house prices fueled partly by expectations that prices will continue to rise. Housing expense: The sum of mortgage payment, hazard insurance, property taxes, and homeowner association fees. Same as PITI and "monthly housing expense." Housing expense ratio: The ratio of housing expense to borrower income, which is used (along with the total expense ratio and other factors) in qualifying borrowers. Housing investment: The amount invested in a house, equal to the sale price less the loan amount. HUD1 form: The form a borrower receives at closing that details all the payments and receipts among the parties in a real estate transaction, including borrower, lender, home seller, mortgage broker and various other service providers. Hybrid ARM: An ARM on which the initial rate holds for some period, during which it is "fixed-rate", after which it becomes adjustable rate. Generally, the term is applied to ARMs with initial rate periods of 3 years or longer. Indexed ARM: An ARM on which the interest rate adjusts mechanically based on changes in an interest rate index, as opposed to a "discretionary ARM" on which the lender can change the rate at any time subject only to advance notice. All ARMs in the US are indexed. Initial interest rate: The interest rate that is fixed for some specified number of months at the beginning of the life of a an ARM. The initial rate is sometimes referred to as a "teaser" when it is below the fully indexed interest rate. Initial rate period: The number of months for which the initial rate holds, ranging from 1 month to 10 years. Interest accrual period: The period over which the interest due the lender is calculated. If the interest accrual period on a 6 % mortgage for $100,000 is a year, as it is on some loans in the UK and India, the interest for the year is .06($100,000) = $6,000. If interest accrues monthly, as it does on most mortgages in the US, the monthly interest is .06/12($100,000) = $500. If interest accrues biweekly, as on a few programs in the US, the biweekly interest is .06/26($100,000) = $230.77. And if interest accrues daily, as HELOCs and some other mortgages in the US do, the daily interest is .06/365($100,000) = $16 .44. Interest cost: A time-adjusted measure of cost to a mortgage borrower. It is calculated in the same way as the APR except that the APR assumes that the loan runs to term, and is always measured before taxes. The formula is shown in Mortgage Formulas. Interest cost is measured over the individual borrower's time horizon, and it may be measured after taxes at the individual borrower's tax rate. In addition, the cost items included in interest cost may be more or less inclusive than those included in the APR. Interest due: The amount of interest, expressed in dollars, computed by multiplying the loan balance at the end of the preceding period times the annual interest rate divided by the interest accrual period. It is the same as interest payment except when the scheduled mortgage payment is less than the interest due, in which case the difference is added to the balance and constitutes negative amortization. Interest payment: The dollar amount of interest paid each month. It is the same as interest due so long as the scheduled mortgage payment is equal to or greater than than the interest due. Otherwise, the interest payment is equal to the scheduled payment. Interest rate: The rate charged the borrower each period for the loan of money, by custom quoted on an annual basis. A rate of 6%, for example, means a rate of 1/2% per month. A mortgage interest rate is a rate on a loan secured by a specific property. Interest rate adjustment period: The frequency of rate adjustments on an ARM after the initial rate period is over. The rate adjustment period is sometimes but not always the same as the initial rate period. As an example, a 3/3 ARM is one in which both periods are 3 years while a 3/1 ARM has an initial rate period of 3 years after which the rate adjusts every year. Interest rate ceiling: The highest interest rate possible under an ARM contract; same as "lifetime cap." It is often expressed as a specified number of percentage points above the initial interest rate. Interest rate floor: The lowest interest rate possible under an ARM contract. Floors are less common than ceilings. Interest rate increase cap: The maximum allowable increase in the interest rate on an ARM each time the rate is adjusted. It is usually 1 or 2 percentage points, but may be 5 points if the initial rate period is 5 years or longer. Interest rate decrease cap: The maximum allowable decrease in the interest rate on an ARM each time the rate is adjusted. It is usually 1 or 2 percentage points. Interest rate index: The specific interest rate series to which the interest rate on an ARM is tied, such as "Treasury Constant Maturities, 1-Year," or "Eleventh District Cost of Funds." All the indices are published regularly in readily available sources. Interest rate risk premium: The rate premium above the rate on the least risky or "prime" loan. Interim refinance: An ill-advised scheme to avoid a prepayment penalty by refinancing twice instead of once. Internet mortgages: Mortgages delivered using the internet as a major part of the communication process between the borrower and the lender. Investor: In real estate, a borrower who owns or purchases a property as an investment rather than as a residence. Jumbo mortgage: A mortgage larger than the maximum eligible for purchase by the two Federal agencies, Fannie Mae and Freddie Mac, $417,000 in 2008. However, in that year, the agencies were given limited authority to purchase jumbos. Junk fees: A derogatory term for lender fees expressed in dollars rather than as a percent of the loan amount. Late fees: Fees that lenders are entitled to collect from borrowers who don't pay within the grace period. Most mortgage notes offer borrowers a 10 or 15-day grace period, with a late charge of about 5% on payments received on the 16th or later. Late payment: A payment received after the grace period stipulated in the note. Most mortgage grace periods are 10 or 15 days. Lead-Generation site: A mortgage web site designed to provide leads (potential customers) to lenders. Where a referral site provides information about lenders to consumers, with consumers contacting the lenders, a lead-generation site provides information about the consumers to the lenders, and the lenders contact the consumers. They are sometimes called "auction sites" because lenders post their prices directly to the consumer. Lease-to-own purchase: A transaction in which a hopeful home buyer leases a home with an option to buy it within a specified period. Lien: The lender’s right to claim the borrower’s property in the event the borrower defaults. If there is more than one lien, the claim of the lender holding the first lien will be satisfied before the claim of the lender holding the second lien, which in turn will be satisfied before the claim of a lender holding a third lien, etc. Loan amount: The amount the borrower promises to repay, as set forth in the mortgage contract. It differs from the amount of cash disbursed by the lender by the amount of points and other upfront costs included in the loan. Loan "churning": The process of raising cash periodically through successive cash-out refinancings. It is a scam initiated by mortgage brokers that victimizes wholesale lenders, with the connivance of borrowers. Loan discount fee: The term used to describe points on the Good Faith Estimate. Loan level price adjustments: The risk-based pricing system used by Fannie Mae. Loan modification: See Mortgage modification. Loan officer: Employees of lenders or mortgage brokers who find borrowers, sell and counsel them, and take applications. Loan provider: A lender or a mortgage broker. Loan-to-value ratio: The loan amount divided by the lesser of the selling price or the appraised value. Also referred to as LTV. The LTV and down payment are different ways of expressing the same set of facts. Lock: An option exercised by the borrower, at the time of the loan application or later, to "lock in" the rates and points prevailing in the market at that time. The lender and borrower are committed to those terms, regardless of what happens between that point and the closing date. Lock commitment letter: A written statement from a lender verifying that the price and other terms of a loan have been locked. Borrowers who lock through a mortgage broker should always demand to see the lock commitment letter. Lock failure: The inability or unwillingness of a lender to honor a mortgage price that a borrower had believed was guaranteed. Lock jumper: A borrower, usually refinancing rather than purchasing a home, who allows a lock to expire when interest rates go down in order to lock again at the lower rate. Lock period: The number of days for which any lock or float-down holds. Ordinarily, the longer the period, the higher the price to the borrower. Mandatory disclosure: The array of laws and regulations dictating the information that must be disclosed to mortgage borrowers, and the method and timing of disclosure. Manufactured housing: A house built entirely in a factory, transported to a site and installed there. They are usually built without knowing where they will be sited, and are subject to a Federal building code administered by HUD. Margin: The amount added to the interest rate index, ranging generally from 2 to 3 percentage points, to obtain the fully indexed interest rate on an ARM. Market niche: A particular combination of loan, borrower and property characteristics that lenders use in setting prices and underwriting requirements. These characteristics are believed to affect the default risk or cost of the loan. As examples, borrowers who don't intend to occupy the house they purchase pay more than those who do, and borrowers who refinance only the balance on their existing loan pay less than those who take "cash out". Maturity: The period until the last payment is due. This is usually but not always the term, which is the period used to calculate the mortgage payment. Maximum loan amount: The largest loan size permitted on a particular loan program. For programs where the loan is targeted for sale to Fannie Mae or Freddy Mac, the maximum will be the largest loan eligible for purchase by these agencies. On FHA loans, the maximums are set by the Federal Housing Administration, and vary somewhat by geographical area. On other loans, maximums are set by lenders. Maximum loan to value ratio: The maximum allowable loan-to-value ratio on the selected loan program. Maximum lock: The longest period for which the lender will lock the rate and points on any program. The most common maximum lock period is 60 days, but on some programs the maximum is 90 days; only a few go beyond 90 days. Minimum down payment: The minimum allowable ratio of down payment to sale price on any program. If the minimum is 10%, for example, it means that you must make a down payment of at least $10,000 on a $100,000 house, or $20,000 on a $200,000 house. Monthly housing expense: Same as Housing expense. Monthly debt service: Monthly payments required on credit cards, installment loans, home equity loans, and other debts but not including payments on the loan applied for. Monthly total expenses: Same as Total housing expense. Mortgage: A written document evidencing the lien on a property taken by a lender as security for the repayment of a loan. The term “mortgage” or “mortgage loan” is used loosely to refer both to the lien and the loan. In most cases, they are defined in two separate documents: a mortgage and a note. Mortgage auction site: See Lead generation site. Mortgage bank: Same as mortgage company. Mortgage broker: An independent contractor who offers the loan products of multiple lenders, termed wholesalers. A mortgage broker counsels on the loans available from different wholesalers, takes the application, and usually processes the loan. When the file is complete, but sometimes sooner, the lender underwrites the loan. In contrast to a correspondent, a mortgage broker does not fund a loan. Mortgage company: A mortgage lender who sells all loans in the secondary market. As distinguished from a portfolio lender, who retains loans in its portfolio. Mortgage companies may or may not service the loans they originate. Mortgage lead: A packet of information about a consumer who a loan provider might be able to convert into a borrower. Mortgage formulas: Equations used to derive common measures used in the mortgage market, such as monthly payment, balance, and APR. Mortgage insurance: Insurance against loss provided to a mortgage lender in the event of borrower default. In most cases, the borrower pays the premiums. Mortgage insurance premium: The up-front and/or periodic charges that the borrower pays for mortgage insurance. There are different mortgage insurance plans with differing combinations of up-front, monthly and annual premiums. The most widely used premium plan is a monthly charge with no upfront premium. Mortgage lender: The party who disburses funds to the borrower at the closing table. The lender receives the note evidencing the borrower's indebtedness and obligation to repay, and the mortgage which is the lien on the subject property. Mortgage modification: A change in the terms of a loan, usually the interest rate and/or term, in response to the borrower's inability to make the payments under the existing contract. Mortgage payment: The monthly payment of interest and principal made by the borrower. Mortgage price: The interest rate, points and fees paid to the lender and/or mortgage broker. On ARMs, the price also includes the fully indexed rate and the maximum rate. Mortgage program: A bundle of mortgage characteristics that lenders see fit to distinguish as a distinct instrument. These include whether it is an FRM, ARM, or Balloon; the term; the initial rate period on an ARM; whether it is FHA-insured or VA-guaranteed; and if is not FHA or VA, whether it is "conforming" (eligible for purchase by Fannie Mae or Freddie Mac) or "non-conforming". Mortgage referrals: Advice on where to go to get a mortgage. Mortgage shopping : Trying to find the best deal on a mortgage. Mortgage suitability: The doctrine that mortgage lenders should be held liable for providing loans that are not suitable for the borrower. Negative amortization: A rise in the loan balance when the mortgage payment is less than the interest due. Sometimes called "deferred interest." Negative amortization cap: The maximum amount of negative amortization permitted on an ARM, usually expressed as a percentage of the original loan amount (e.g., 110%). Reaching the cap triggers an automatic increase in the payment, usually to the fully amortizing payment level, overriding any payment increase cap. Negative Homeowners Equity: The condition of owing more on the house than the house is worth. Negative points: Points paid by a lender for a loan with a rate above the rate on a zero point loan. For example, a wholesaler quotes the following prices to a mortgage broker. 8%/0 points, 7.5%/3 points, 8.75%/-3 points. On mortgage web sites, negative points are usually referred to as "rebates" because they are used to reduce a borrower's settlement costs. When negative points are retained by a mortgage broker, they are called a "yield spread premium". Net branch: A facility offered by some lenders to mortgage brokers where de jure the brokers become employees of the lender but de facto they retain their independence as brokers. One of the advantages of this arrangement to brokers is that they need not disclose yield spread premiums received from lenders. No change scenario: On an ARM, the assumption that the value of the index to which the rate is tied does not change from its initial level. No-cost mortgage: A mortgage on which all settlement costs except per diem interest, escrows, homeowners insurance and transfer taxes are paid by the lender and/or the home seller. Non-conforming mortgage: A mortgage that does not meet the purchase requirements of the two Federal agencies, Fannie Mae and Freddie Mac, because it is too large or for other reasons such as poor credit or inadequate documentation. Non-Permanent resident alien: A non-citizen without a green card who is employed in the US. As distinct from a permanent resident alien, who has a green card and who lenders do not distinguish from US citizens. Non-permanent resident aliens are subject to somewhat more restrictive qualification requirements than US citizens. No asset loan: A documentation requirement where the applicant's assets are not disclosed. No Fee Mortgage Plus: A Bank of America program for home purchasers that eliminates all lender fees except points, and all third party fees. No income loan: A documentation requirement where the applicant's income is not disclosed. Non-warrantable condo: A condominium that does not meet lender requirements. No-Surprise adjustable rate mortgage: An ARM with a preset graduated payment combined with variable term. Nominal interest rate: A quoted interest rate that is not adjusted for either intra-year compounding, or for inflation. A quoted rate of 6% on a mortgage, for example, is nominal. No ratio loan: A documentation requirement where the applicant's income is disclosed and verified but not used in qualifying the borrower. The conventional maximum ratios of expense to income are not applied. Note: A document that evidences a debt and a promise to repay. A mortgage loan transaction always includes both a note evidencing the debt, and a mortgage evidencing the lien on the property, usually in two documents. Option ARM: An adjustable rate mortgage with flexible payment options, monthly interest rate adjustments, and very low minimum payments in the early years. They carry a risk of very large payments in later years. Option fee: An upfront fee paid by the buyer under a lease-to-own purchase, usually 1% to 5% of the price, which is credited to the purchase price when the option is exercised but is lost if it is not. Origination fee: An upfront fee charged by some lenders, usually expressed as a percent of the loan amount. It should be added to points in determining the total fees charged by the lender that are expressed as a percent of the loan amount. Unlike points, however, an origination fee does not vary with the interest rate. Overage: The difference between the price posted to its loan officers by a lender or mortgage broker, and the price charged the borrower. Par Rate: The mortgage interest rate at zero points. In the secondary market, it is the security rate that trades at a price of 100. Partial prepayment: Making a payment larger than the scheduled payment as a way of paying off the loan earlier. Paydown magic: Belief that there is a special way to pay down the balance of a home mortgage faster, if you know the secret. Payment adjustment interval: The period between payment changes on an ARM, which may or may not be the same as the interest rate adjustment period. Loans on which the payment adjusts less frequently than the rate may generate negative amortization. Payment increase cap: The maximum percentage increase in the payment on an ARM at a payment adjustment date. A 7.5% cap is common. Payment decrease cap: The maximum percentage decrease in the payment on an ARM at a payment adjustment date. Payment period: The period over which the borrower is obliged to make payments. On most mortgages, the payment period is a month, but on some it is biweekly. Payment power: A program begun by Fannie Mae in 2003-4 that allows a borrower to skip up to 2 mortgage payments in any 12 month period, and up to 10 over the life of a loan. Payment rate: The interest rate used to calculate the mortgage payment, which is usually but not necessarily the interest rate. Payment shock: A very large increase in the payment on an ARM that may surprise the borrower. Also used to refer to a large difference between the rent being paid by a first-time home buyer, and the monthly housing expense on the purchased home. Payoff month: The month in which the loan balance is paid down to zero. It may or may not be the term. Per diem interest: Interest from the day of closing to the first day of the following month. In some cases, however, the borrower can get a credit at closing by making the first payment a month earlier. Permanent buydown: Paying points as a way of reducing the interest rate. Pick a Payment ARM: Same as Flexible Payment ARM. Piggyback mortgage: A combination of a first mortgage for 80% of property value, and a second for 5%, 10%, 15%, or 20% of value. These combinations are designated as 80/5/15, 80/10/10, 80/15/5, and 80/20/0, respectively. Piggybacks are a substitute for mortgage insurance for borrowers who cannot put 20% down. Pipeline risk: The lender's risk that between the time a lock commitment is given to the borrower and the time the loan is closed, interest rates will rise and the lender will take a loss on selling the loan. PITI: Shorthand for principal, interest, taxes and insurance, which are the components of the monthly housing expense. PMI: Private mortgage insurance, as distinguished from insurance provided by government under FHA and VA. Points: An upfront cash payment required by the lender as part of the charge for the loan, expressed as a percent of the loan amount; e.g., "3 points" means a charge equal to 3% of the loan balance. It is common today for lenders to offer a wide range of rate/point combinations, especially on fixed rate mortgages (FRMs), including combinations with negative points. On a negative point loan the lender contributes cash toward meeting closing costs. Positive and negative points are sometimes termed "discounts" and "premiums," respectively. Portable mortgage: A mortgage that can be moved from one property to another. These were introduced in the US by E*TRADE Mortgage in 2003. Portfolio lender: A lender that holds the loans it originates in its portfolio rather than selling them, as a temporary lender does. Posted prices: The mortgage prices delivered by lenders to loan officers and mortgage brokers, as opposed to the final prices paid by borrowers. Pre-approval: A commitment by a lender to make a mortgage loan to a specified borrower, prior to the identification of a specific property. It is designed to make it easier to shop for a house. Unlike a pre-qualification, the lender checks the applicant's credit. Predatory lending: A variety of unsavory lender practices designed to take advantage of unwary borrowers. Prepayment: A payment made by the borrower over and above the scheduled mortgage payment. If the additional payment pays off the entire balance it is a "prepayment in full"; otherwise, it is a "partial prepayment." Prepayment penalty: A charge imposed by the lender if the borrower pays off the loan early. The charge is usually expressed as a percent of the loan balance at the time of prepayment, or a specified number of months interest. Price-gouging: Charging interest rates and/or fees that are excessive relative to what the same borrowers could have found had they shopped the market. Pricing Notch Point (PNP): A loan amount at which any increase will increase the interest rate, points or mortgage insurance premium. Primary residence: The house in which the borrower will live most of the time, as distinct from a second home or an investor property that will be rented. Principal: The portion of the monthly payment that is used to reduce the loan balance. Principal limit: The present value of a house, given the elderly owner's right to live there until death or voluntary move-out, under the FHA reverse mortgage program. Private mortgage insurance: Mortgage insurance provided by private mortgage insurance companies, or PMIs. Processing: Compiling and maintaining the file of information about a mortgage transaction, including the credit report, appraisal, verification of employment and assets, and so on. The processing file is handed off to underwriting for the loan decision. Property flipping: Successive sham home sales at progressively higher prices as part of a scheme to defraud FHA. Purchase money mortgage: A mortgage offered by a house buyer as partial payment for the house. Qualification: The process of determining whether a prospective borrower has the ability, meaning sufficient assets and income, to repay a loan. Qualification is sometimes referred to as "pre-qualification" because it is subject to verification of the information provided by the applicant. Qualification is short of approval because it does not take account of the credit history of the borrower. Qualified borrowers may ultimately be turned down because, while they have demonstrated the capacity to repay, a poor credit history suggests that they may be unwilling to pay. Qualification rate: The interest rate used in calculating the initial mortgage payment in qualifying a borrower. The rate used in this calculation may or may not be the initial rate on the mortgage. On ARMs, for example, the borrower may be qualified at the fully indexed rate rather than the initial rate. Qualification ratios: Requirements stipulated by the lender that the ratio of housing expense to borrower income, and housing expense plus other debt service to borrower income, cannot exceed specified maximums, e.g., 28% and 35%. These may reflect the maximums specified by Fannie Mae and Freddie Mac; they may also vary with the loan-value ratio and other factors. Qualification requirements: Standards imposed by lenders as conditions for granting loans, including maximum ratios of housing expense and total expense to income, maximum loan amounts, maximum loan-to-value ratios, and so on. Less comprehensive than underwriting requirements, which take account of the borrower's credit record. Rate caps: Limitations on the size of rate adjustments on an ARM, often expressed in a/b/c fashion: "a" is the maximum rate change at the first rate adjustment, "b" is the maximum at all subsequent adjustments, and "c" is the maximum increase over the initial rate during the life of the contract. Rate/point breakeven: The period you must retain a mortgage in order for it to be profitable to pay points to reduce the rate. Rate/point options: All the combinations of interest rate and points that are offered on a particular loan program. On an ARM, rates and points may also vary with the margin and interest rate ceiling. Rate protection: Protection for a borrower against the danger that rates will rise between the time the borrower applies for a loan and the time the loan closes. This protection can take the form of a "lock" where the rate and points are frozen at their initial levels until the loan closes; or a "float-down" where the rates and points cannot rise from their initial levels but they can decline if market rates decline. In either case, the protection only runs for a specified period. If the loan is not closed within that period, the protection expires and the borrower will either have to accept the terms quoted by the lender on new loans at that time, or start the shopping process anew. Rate sheets: Tables of interest rates and points that lenders distribute daily to their loan officer employees or mortgage brokers. Rebate: Same as Negative points. Recast payment: Raising or lowering the mortgage payment to the fully amortizing payment. Periodic payment-increase recasts are sometimes used on ARMs in lieu of or in addition to negative amortization caps. Payment reduction recasts arise when borrowers have made extra payments and need to have their payment reduced. Refinance: Paying off an old loan while simultaneously taking a new one. This may be done to reduce borrowing costs under conditions where the borrower can obtain a new loan at an interest rate below the rate on the existing loan. It may be done to raise cash, as an alternative to a home equity loan. Or it may be done to reduce the monthly payment. Rent premium: An increment above the rent paid on a lease-to-own home purchase, which is credited to the purchase price if the purchase option is exercised, but which is lost if the option is not exercised. Required cash: The total cash required of the home buyer to close the transaction, including down payment, points and fixed dollar charges paid to the lender, any portion of the mortgage insurance premium that is paid up-front, and other settlement charges associated with the transaction such as title insurance, taxes, etc. The total required cash is shown on the Good Faith Estimate of Settlement that every borrower receives. RESPA: The Real Estate Settlement Procedures Act, a Federal consumer protection statute first enacted in 1974. RESPA was designed to protect home purchasers and owners shopping for settlement services by mandating certain disclosures, and prohibiting referral fees and kickbacks. Retail lender: A lender who offers mortgage loans directly to the public. As distinct from a wholesale lender who operates through mortgage brokers and correspondents. Reverse mortgage: A loan to an elderly home owner on which the balance rises over time, and which is not repaid until the owner dies, sells the house, or moves out permanently. Right of rescission: The right of refinancing borrowers, under the Truth in Lending Act, to cancel the deal at no cost to themselves within 3 days of closing. Scenario analysis: Determining how the interest rate and payment on an ARM will change in response to specified future changes in market interest rates, called "scenarios". Scheduled mortgage payment: The amount the borrower is obliged to pay each period, including interest, principal, and mortgage insurance, under the terms of the mortgage contract. Paying less than the scheduled amount results in delinquency. On most mortgages, the scheduled payment is the fully amortizing payment throughout the life of the loan. On some mortgages, however, the scheduled payment for the first 5 or 10 years is the interest payment. And on option (flexible payment) ARMs, it can be the "minimum" payment. Second mortgage: A loan with a second-priority claim against a property in the event that the borrower defaults. The lender who holds the second mortgage gets paid only after the lender holding the first mortgage is paid. Secure option ARM: An option ARM on which the initial rate holds for 5 years rather than one month. Secondary markets: Markets in which mortgages or mortgage-backed securities are bought and sold. Self-employed borrower: A borrower who must document income using tax returns rather than information provided by an employer. This complicates the process somewhat. Seller contribution: A contribution to a borrower's down payment or settlement costs made by a home seller, as an alternative to a price reduction. Seller financing: Provision of a mortgage by the seller of a house, often a second mortgage, as a condition of the sale. Servicing: Administering loans between the time of disbursement and the time the loan is fully paid off. This includes collecting monthly payments from the borrower, maintaining records of loan progress, assuring payments of taxes and insurance, and pursuing delinquent accounts. Servicing agent: The party who services a loan, who may or may not be the lender who originated it. Servicing release premium: A payment made by the purchaser of a mortgage to the seller for the release of the servicing on the mortgage. It has no direct relevance to borrowers. Servicing transfer: When one servicing agent is replaced by another. Settlement costs: Costs that the borrower must pay at the time of closing, in addition to the down payment. Shared appreciation mortgage: A mortgage on which the borrower gives up a share in future price appreciation in exchange for a lower interest rate and/or interest deferral. Silent second: A second mortgage used to deceive the first mortgage lender, or to provide preferential (subsidized) terms to qualified home buyers. Simple interest mortgage: A mortgage on which interest is calculated daily based on the balance at the time of the last payment. The daily interest charge within the month is constant -- interest is not charged on the interest charges of prior days. Simple interest biweekly mortgage: A biweekly mortgage on which the biweekly payment is applied to the balance every two weeks, rather than held in an account as on a conventional biweekly. Single file mortgage insurance: A type of mortgage insurance on which the lender pays the premium and prices it in the interest rate. Single-lender web site: A web site of an individual lender or mortgage broker who wants users to select a loan from them. They are easy to identify because the name of the lender or broker will be prominently displayed on the screens. Single-lender sites account for the majority of all mortgage web sites. Stated assets: A documentation requirement where the borrower discloses her assets but they are not verified by the lender. Stated income: A documentation requirement where the lender verifies the source of the income but not the amount. Strategic default: Default by a mortgage borrower who has the capacity to make the payments on his mortgage but elects not to because of negative equity -- the loan balance is substantially larger than the house value. Streamlined refinancing: Refinancing that omits some of the standard risk control measures, and is therefore quicker and less costly. Subordination policy: The policy of a second mortgage lender for allowing a borrower to refinance the first mortgage while leaving the second in place. Sub-prime borrower: A borrower with poor credit, who can borrow only from sub-prime lenders who specialize in dealing with borrowers who have poor credit. Such borrowers pay more than prime borrowers, and are sometimes taken advantage of. Not all borrowers who deal with sub-prime lenders, however, are sub-prime borrowers. Some could obtain loans from mainstream lenders if they properly shop the market. Sub-prime lender: A lender who specializes in lending to sub-prime borrowers. Sub-prime market: The network of sub-prime lenders, mortgage brokers, warehouse lenders and investment bankers who make possible the delivery of loans to sub-prime borrowers. Swing loan: Same as Bridge loan. Tangible net benefit: The net gain to a borrower from a refinancing, which some proposed legislation would make the responsibility of lenders. Tax service fee: A fee charged by some lenders at closing to cover the cost of paying taxes on the borrower's property when they come due, or (if the borrower is paying the taxes), verifying that the payment has been made. Teaser rate: The initial interest rate on an ARM, when it is below the fully indexed rate. Temporary buydown: A reduction in the mortgage payment in the early years of the loan in exchange for an upfront cash payment provided by the home buyer, the seller, or both. Temporary lender: A lender that sells the loans it originates, as opposed to a portfolio lender who holds them. Tenure annuity: An option available to borrowers under a Home Equity Conversion Mortgage to draw a fixed amount monthly for as long as they remain in their house. Term: The period used to calculate the monthly mortgage payment. The term is usually but not always the same as the maturity. On a 7-year balloon loan, for example, the maturity is 7 years but the term in most cases is 30 years. Title insurance: Insurance against loss arising from problems connected to the title to property. Total expense ratio: The ratio of total housing expense to borrower income. Total interest payments: The sum of all interest payments to date or over the life of the loan. This is an incomplete measure of the cost of credit to the borrower because it does not include up-front cash payments, and it is not adjusted for the time value of money. Total expense ratio: The ratio of housing expense plus current debt service payments to borrower income, which is used (along with the housing expense ratio and other factors) in qualifying borrowers. Transaction-Based Reserves: Mandatory loss reserves based on the riskiness of individual transactions. An example is the contingency reserve requirements applicable to private mortgage insurers. Truth in Lending (TIL): The Federal law that specifies the information that must be provided to borrowers on different types of loans. Also, the form used to disclose this information. Underage: Fees collected from a borrower by a loan officer that are lower than the target fees specified by the lender or mortgage broker who employs the loan officer. Underwriting: The process of examining all the data about a borrower's property and transaction to determine whether the mortgage applied for by the borrower should be issued. The person who does this is called an underwriter. Underwriting requirements: The standards imposed by lenders in determining whether a borrower qualifies for a loan. These standards are more comprehensive than qualification requirements in that they include an evaluation of the borrower’s creditworthiness. Upfront Mortgage Broker (UMB): A mortgage broker who charges a set fee for services provided, established in writing at the outset of the transaction, and acts as the borrower's agent in shopping for the best deal. Upfront Mortgage Lender: A lender offering loans on the internet who provides mortgage shoppers with the information they need to make an informed decision before applying for a mortgage; and guarantees them fair treatment during the period after they apply through to closing. VA mortgage: A mortgage with no down payment requirement, available only to ex-servicemen and women as well as those on active duty, on which the lender is insured against loss by the Veterans Administration. Waive escrows: Authorization by the lender for the borrower to pay taxes and insurance directly. This is in contrast to the standard procedure where the lender adds a charge to the monthly mortgage payment that is deposited in an escrow account, from which the lender pays the borrower’s taxes and insurance when they are due. On some loans lenders will not waive escrows, and on loans where waiver is permitted lenders are likely either to charge for it in the form of a small increase in points, or restrict it to borrowers making a large down payment. Warehouse lender: A firm that lends to temporary lenders against the collateral of closed mortgage loans prior to the sale of the loans in the secondary market. Warehouse lenders can call the loans if the loans "in the warehouse" drop in value. Warrantable condos: A condominium project with features that lenders view as protections against hazards that would threaten the value of condo units. These features include the project being completed with most units sold rather than rented, no one party owning more than 10% of them, adequate insurance coverage of common structures, and an ownership association independent of the developer. Wholesale lender: A lender who provides loans through mortgage brokers or correspondents. The mortgage broker or correspondent initiates the transaction, takes the borrower's application, and processes the loan. Wholesale mortgage prices: The interest rate and points quoted by wholesale lenders to mortgage brokers and correspondent lenders. Workout assumption: The assumption of a mortgage, with permission of the lender, from a borrower unable to continue making the payments. Worst case scenario: The assumption that the interest rate on an ARM rises to the maximum extent permitted in the note. On a one-month ARM with no rate adjustment caps, for example, the rate would jump to the maximum rate stipulated in the note in month 2. Wrap-around mortgage: A mortgage on a property that already has a mortgage, where the new lender assumes the payment obligation on the old mortgage. Wrap-around mortgages arise when the current market rate is above the rate on the existing mortgage, and home sellers are frequently the lender. 1 Month Option ARM: Same as Flexible Payment ARM. 3/2 Down payment: Programs offered by some lenders under which a borrower who is able to secure a grant or gift equal to 2% of the down payment will only have to provide a 3% down payment from their own funds. This can be a good deal for a cash-short borrower. 80/10/10, 80/15/5, and 80/20/0 loan plans: Combination first mortgages for 80% of sale price or value and second mortgages for 10%, 15%, or 20%. The purpose is to avoid mortgage insurance, which is required on first mortgages that exceed 80% of value. 12 MTA: An interest rate index that is used on some ARMs. It is the average of the most recent 12 monthly values of the Treasury One-Year Constant Maturity series. 12 MTA Pay Option ARM: Same as Flexible Payment ARM. 3.95% ARM: A monthly ARM on which the initial rate is 3.95%. 100% loan: A loan with no down payment. The loan amount equals the property value. 125% loan: A loan for 125% of property value. 40-Year Mortgage: A mortgage with a term of 40 years.